Deepa is the in-charge Principal of the ASL Assurance Group and serves privately held clients in the technology, international and construction industries. Her technology experience includes software, hardware, semiconductor and medical devices companies. She helps clients navigate complex and unique accounting issues encountered in their domestic as well as international operations. Deepa has conducted several group audits for her clients with a strong focus on accounting and tax rules in India. She has extensive experience advising a host of construction companies including painting, commercial, residential, and paving contractors. Deepa also heads the employee benefit plan practice and the Construction Group at ASL and is a member of the Technology Group. Deepa worked in public accounting in India and is an Associate Member of the Institute of Chartered Accountants of India. She represented clients in the income tax courts, prepared the income tax returns of corporate and non-corporate clients, and guided clients on legal matters related to double taxation and foreign exchange remittances. 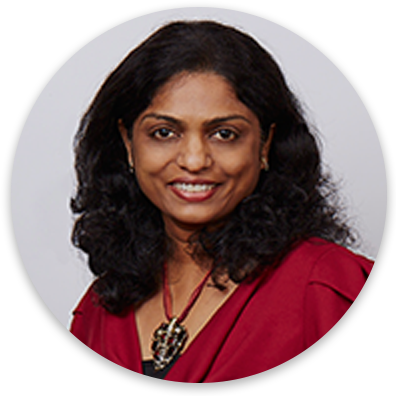 Deepa has a Master of Commerce in Accounting and a Bachelor of Commerce in Accounting and Tax from the University of Mumbai, India, and holds a Master of Arts in Economics from Rutgers University. She is a Certified Fraud Examiner (CFE) and a Certified Construction Industry Technician (CIT). Deepa speaks English, Hindi, Kannada, Marathi, and Gujarati. Outside the office, Deepa enjoys the outdoors; hiking, road trips and camping. While at home, she loves to cook spicy vegetarian food or unwind with a movie or two with her husband who shares her passion for cinema. Frank Boitano, CPA, is a Tax Principal with over 44 years of experience and joined the firm in November 2017 through a merger of his practice along with that of his deceased partner, Ogden Lilly. Twelve dedicated professional and administrative staff formerly with the firm, Boitano Sargent & Lilly, accompanied Frank in joining ASL. Franceen Borrillo, CPA, leads the ASL Real Estate Group and specializes in partnership taxation. She has extensive experience dealing with complex partnership issues including: entity formations and structuring; acquisitions and sale transactions; special allocations; ownership changes; and basis and at-risk computations. Her experience in real estate embodies a strong emphasis in tax accounting and planning for both commercial and residential real estate for joint ventures, syndications, development, construction, and property management. Franceen is regularly involved in strategic planning and consulting on business and personal tax planning for her clients. She develops both practical and tax-saving strategies for owners of partnerships, limited liability companies, and closely held corporations. Franceen works with numerous closely held businesses to assist them with meeting business and family goals. Her 20-year background includes public accounting as well as working in real estate, venture capital, and technology companies. Franceen holds a Bachelor of Science degree, Political Science, from Santa Clara University and a Bachelor of Science degree, Business Administration (Accounting concentration), from San Jose State University. 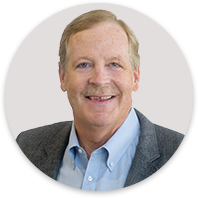 Steve Carter, CPA, is a member of our Firm’s Nonprofit, Construction, and Renewable Energy Groups. 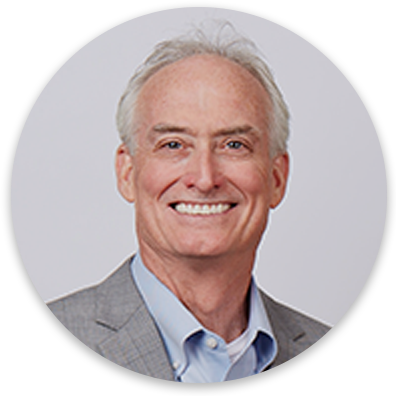 With over 42 years of experience, working with both national and regional CPA firms, Steve is well versed in providing audit, tax, and business consulting services to a wide variety of closely held businesses and nonprofit organizations. 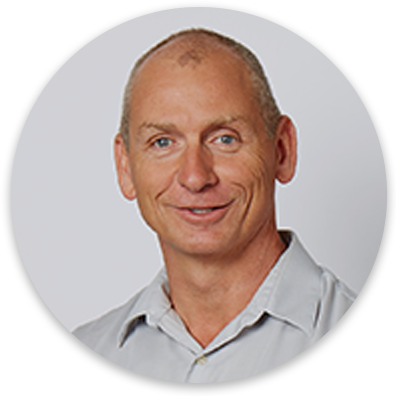 Steve has in-depth experience in working with business clients in various industries such as renewable energy and related environmental specialties, technology, construction, manufacturing, agriculture, packaging, retail, and professional and consumer services. In the nonprofit sector, Steve has vast experience in serving many types of nonprofit organizations, including but not limited to those whose mission is dedicated to health and human services, education, micro-lending and crowd funding, religious congregations, schools and universities, and many organizations using technology in innovative ways to help individuals and communities domestically as well as internationally. 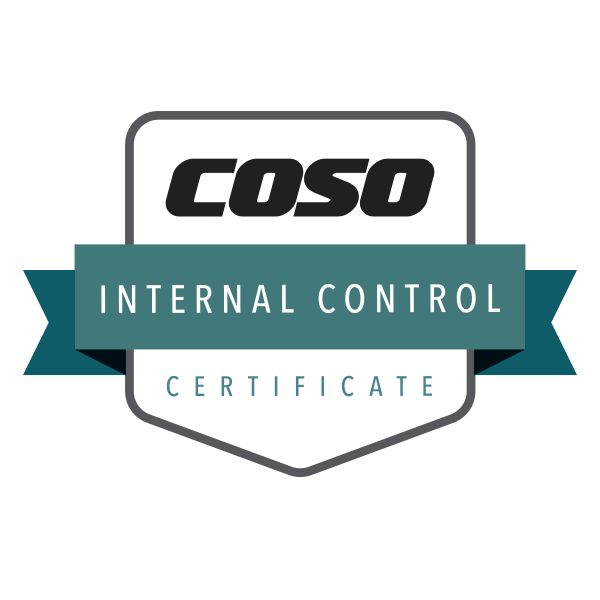 Steve recently earned the COSO Internal Control Certificate, demonstrating comprehensive knowledge and application of the 2013 COSO Internal Control-Integrated Framework. Steve holds a Bachelor of Science degree in Commerce from Santa Clara University. She has completed the IBFD NA Advanced Professional Certificate in International Taxation and earned a certificate from UCLA in International Taxation. She is one of ASL’s tech blog writers. Jyothi has a Bachelor’s degree, Commerce in Accounting, from Osmania University, India. She also holds a Master’s degree, Taxation, from San Jose State University. Josh Cross, CPA, is a Principal in the ASL Audit and Accounting and Construction Groups and co-chairs the ASL Nonprofit Group. 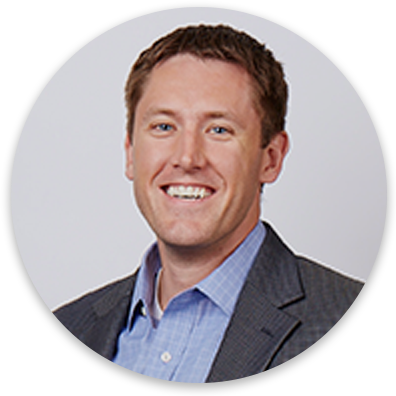 Josh has over thirteen years of public accounting and audit experience serving privately held companies and nonprofit organizations, including those subject to audit requirements in accordance with OMB’s Uniform Grant Guidance (formerly OMB Circular A-133). Privately held companies consist of engineering consulting firms, construction contractor s, and manufacturing and distribution companies. Josh has also worked on review and compilation engagements and assisted with business consulting for closely held businesses. Josh holds a Bachelor of Science degree, Accountancy, from Northern Illinois University and a Master’s degree, Information Systems, from Northern Illinois University. He is a licensed CPA in both California and Illinois. In his free time, Josh enjoys playing golf, basketball and spending time with his family. 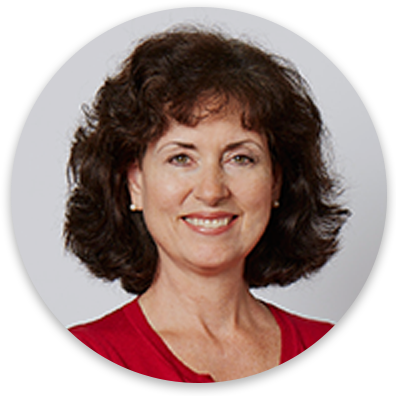 With 30 years of experience, Sheba Dalaney is only one of two ASL partners who has a double specialty in tax and audit. With cutting edge knowledge in both areas, she advises small and mid-size businesses regarding accounting practices and reporting decisions. Known as a problem solver, Sheba is ASL’s technical in-house expert in: accounting software packages, payroll tax, sales tax and tax exempt organizations. She works with clients in highly fluctuating industries such as: high tech, real estate, manufacturing and trades and with more stable industries including: biotech, service businesses, international companies and nonprofits. Sheba holds an Master of Science in Taxation from San Jose State University and a Bachelor of Science degree in Accounting from Cal State Hayward. 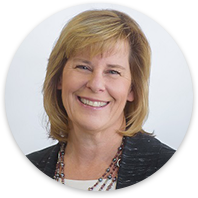 Kay Filler has been an Audit & Accounting Principal for over 20 years and is one of our tech blog writers. Before returning to the practice of public accounting, Kay served for three years as CFO of one of the largest privately held companies in Silicon Valley. Earlier public accounting positions included serving as a senior audit manager in the San Jose office of Deloitte & Touche for eight years, where she was involved in auditing and consulting with private companies and SEC registrants as well as public stock offerings, and mergers and acquisitions; and for five years she was an auditor in the San Francisco office of BDO. Kay graduated from the University of the Pacific’s Eberhardt School of Business as valedictorian, with a Bachelor of Science degree, Business Administration (Accounting concentration). In her free time, Kay enjoys spending time outdoors, traveling, reading and cooking. Rachel Gillespie, CPA, is a Principal and member of the ASL Real Estate Group. She has over 19 years of experience providing tax planning and compliance services. Specializing in taxation, Rachel’s industry focus is primarily commercial and residential real estate. She has significant experience in analysis of partnership agreements for tax compliance and legal issues. She specializes in assisting both entrepreneurs and real estate professionals with complex real estate transactions. She is also knowledgeable about tax-deferred exchanges. 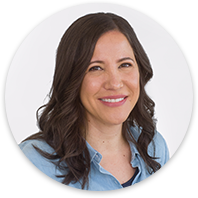 Rachel has worked closely with many of the top real estate developers in the Silicon Valley. 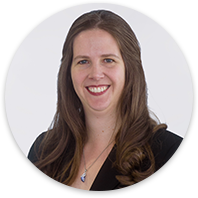 Rachel’s experience and expertise extends well beyond her primary industry focus, and encompasses partnership, individual, corporate, and trust income tax consulting and compliance in many different industries. This diversity gives her an insightful perspective from which to advise clients in the areas of taxation and long-range business planning. 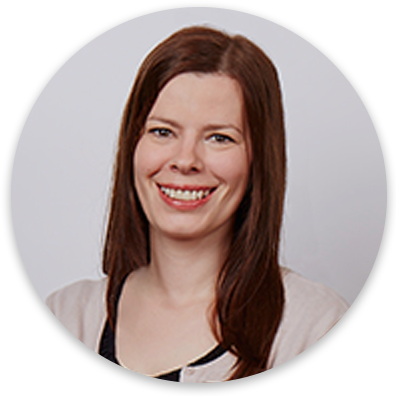 In addition to her technical expertise and outstanding client service, Rachel enjoys the challenge of tax planning and likes to research complex tax problems. She also enjoys the continual educational challenges of the ever-changing tax and accounting profession. Rachel holds a Bachelor of Science degree, Business Administration, from the California State University Chico. She has also completed coursework in the Master’s in Taxation program at Golden Gate University. Julie Malekhedayat is the Principal in charge of ASL’s Family Wealth & Individual Tax Planning Group. She has over 20 years of experience serving the needs of high-income/high-net worth individuals, estate executors and trustees, and closely held businesses. In the course of her tax practice experience and involvement in professional organizations, Julie has developed significant expertise in estate, gift, and trust taxation and planning, as well as estate administration, that dovetails well with her income tax work with high-net worth individuals and family-owned and closely held businesses. 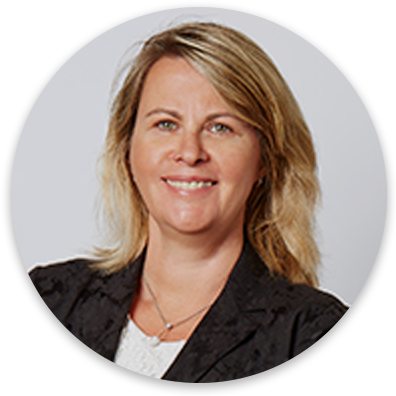 Based on her experience in this comprehensive advisory role, Julie has also developed an expertise in the effective transfer of business entities from one generation to the next. Throughout her career Julie has volunteered considerable time serving on nonprofit boards and organizing technical committees, interest groups, and geographically-based discussion efforts. 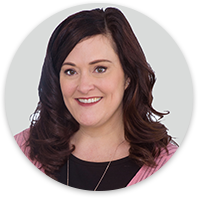 Julie graduated from Oregon State University with a Bachelor of Arts degree, Business Administration (Accounting concentration). Michael McAndrews, CPA, is the Principal in charge of ASL’s Technology Group. He has over 38 years of experience providing tax planning and consulting services to multinational public companies, private companies and their owners, and emerging businesses in a variety of industries including high technology, manufacturing, food processing, and wholesale/retail distribution. Mike’s substantial experience includes assisting clients with tax issues and planning associated with domestic and international expansion, mergers and acquisitions, financial accounting for taxes, California and multi-state taxation, and equity compensation arrangements. 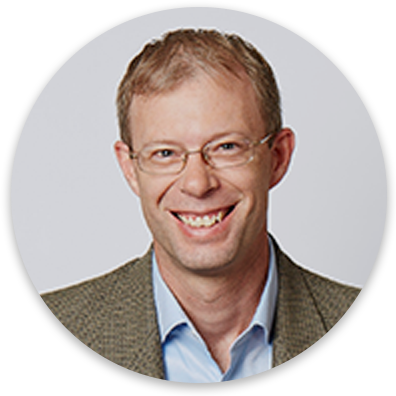 As a Technology Principal, Mike focuses primarily on expanding ASL’s practice serving the needs of high-technology companies while continuing to work with non-technology focused private companies and their owners. Prior to joining ASL, Mike worked with two Big Four accounting firms, from which he retired in June 2013. 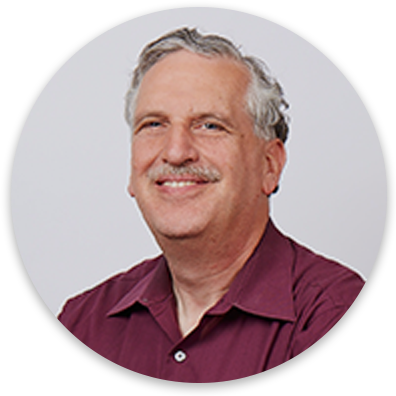 Mike holds a Bachelor of Science degree, Commerce (Accounting concentration), from Santa Clara University. Bill Melton, CPA, is a member of the Tax Group and works extensively with high-net worth individuals in the areas of income, estate and gift tax planning, and compliance. He is a trusted advisor to individuals, families, trustees, and executors, frequently addressing client needs in connection with individual and fiduciary income taxation, split-interest trust planning, private foundations, succession planning, retirement planning, real estate, and planned giving. Bill understands the nuances of taxation. Scrutinizing his client’s current tax needs, he presents each strategy clearly, thoroughly explaining each option and its ramifications so that his client can make the most appropriate decisions. He holds a Bachelor of Arts degree, Psychology, from San Jose State University and a Master of Science degree, Accountancy, from San Jose State University. Luis Ramirez is the in-charge Principal of the ASL Tax Group. He has been a Corporate and International Tax Principal for over 20 years. Luis specializes in serving the tax and business planning needs of closely held companies, partnerships, and their shareholder/partners. Luis has multi-industry experience in manufacturing, service, real estate, technology, wholesale and retail. Luis was a manager for Deloitte & Touche where he specialized in providing tax services to many of their largest and most prestigious closely held companies and to premier Silicon Valley high-technology clients in merger and acquisition consulting, initial public stock offerings, stock-based compensation and international tax planning. Luis graduated with honors from Chapman College in Orange, California. Ray Scheaffer, CPA, is the Managing Principal, and has been with ASL for almost 20 years. Prior to his current role, Ray served for 10 years as the in-charge Principal of the ASL Tax Group. Because Ray enjoys working with clients, he has continued to be very involved in servicing ASL clients along with his many other responsibilities as Managing Principal. 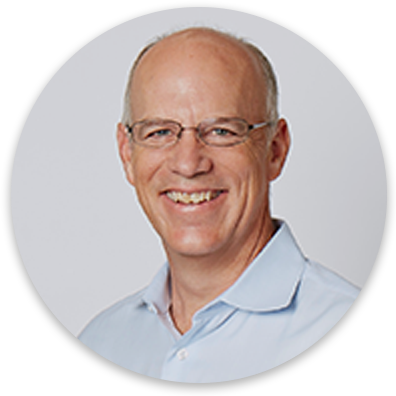 His practice focuses on partnering with leading Bay Area closely held companies and their owners to help them achieve their business and personal goals. Ray also makes the time to work alongside ASL’s principals, managers, and staff accountants so that he can understand their personal and professional goals and how best to help them achieve those goals. His practice areas include corporate and partnership tax, real estate and construction, estate and gift, and litigation support. His team is dedicated to supporting and adding value to clients throughout their various stages of development. Prior to joining ASL, Ray worked with another local accounting firm and the Internal Revenue Service. Ray earned his Bachelor of Science degree, Accounting, from San Jose State University. Rob Trammell, CPA, is a Principal and member of our Construction and International groups. 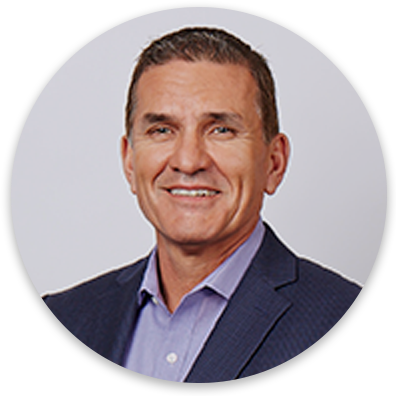 He has over 20 years of experience helping companies, as well as their owners and executives, meet business and financial goals. He provides counsel on enhancing business practices and tax positions throughout the company’s various stages. His practice features work with a variety of middle-market companies. He has also developed significant experience in international, technology, construction, manufacturing, and distribution. 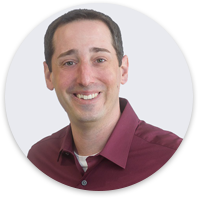 Rob’s clients appreciate his personal approach, and his ability to explain complex and highly technical tax and accounting information in plain English. Prior to joining ASL, Rob worked with Bay Area accounting firms focused on serving the needs of privately held enterprises. 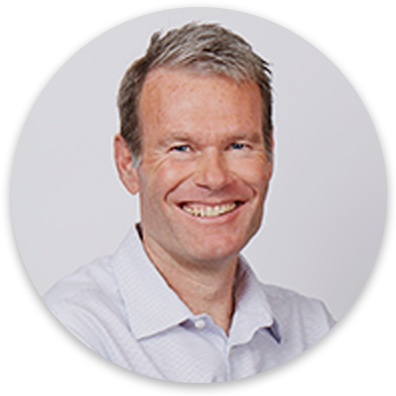 Rob has a Bachelor of Arts degree, Business Economics, from the University of California Santa Barbara and a Master of Science degree, Taxation, from Golden Gate University. In his free time, Rob enjoys triathlons, reading, and spending time with his family. 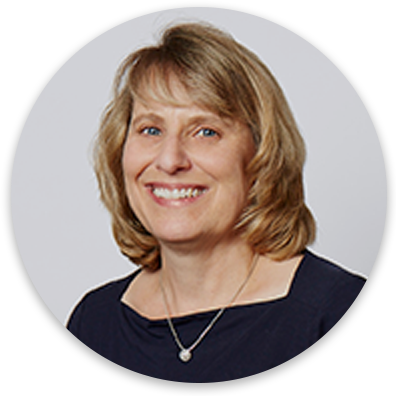 Carol Wagner, CPA, has over 20 years of audit and accounting experience, and has held financial positions in various industries, including technology, real estate, and nonprofits. Carol serves a diverse group of clients ranging from venture-backed technology companies to construction and manufacturing companies. She is one of our tech blog writers as well. 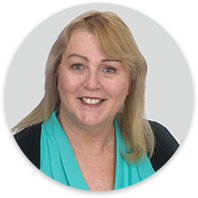 In the ASL Assurance & Accounting Group, Carol functions as an engagement partner or a technical review partner. The clients she services include privately held companies in various industries including software, manufacturing, and construction companies with domestic and international operations. The financial reporting needs of her clients are complex and unique, requiring extensive knowledge of both individual industry practices as well as complex and ever-changing accounting pronouncements. Her background also includes work with the Big Four and other accounting firms focused on closely held businesses. Carol earned a Bachelor of Science degree, Accounting, from Lubbock Christian University. Outside of the office, Carol enjoys outdoor activities and spending time with her family. Helena Bouron, CPA, is a Senior Audit Manager. She serves privately held businesses and organizations throughout the Bay Area. Her practice encompasses work with nonprofit organizations including compliance audits in accordance with OMB Circular A-133. In addition, Helena focuses on technology clients and manufacturing and distribution clients. Her diverse expertise also incorporates the employee benefit plans including audits for complex 403b Plans and ESOPs. Helena’s experience also includes consulting services to privately held clients and nonprofit organizations on accounting policies and internal controls. 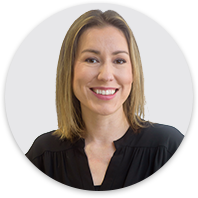 Helena’s background includes over 10 years in public accounting and work with businesses and organizations domestically and internationally. Helena speaks English, French, and Czech. Helena holds a Master’s degree, Accountancy, from Golden Gate University. 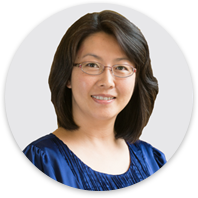 Sylvia Chan, CPA, is a Tax Manager and has over 20 years of experience. She works closely with start-up phase technology companies as well as corporations with multi-state and foreign operations. Prior to joining ASL and transitioning to a tax specialist, Sylvia worked as a financial auditor providing auditing services to a variety of clients. Her prior accounting experience has come in handy when working with clients that have accounting needs. Sylvia holds a Bachelor of Science degree in Accounting from Santa Clara University. Kevin Epes, CPA, is a Tax Manager and a member of the ASL Real Estate Group. He has over 20 years of experience, which includes public accounting and private industry. Kevin has a commitment to client service with expertise and knowledge of high-net-worth individuals, LLC’s, and partnerships. He provides tax advice and strategic planning to meet client goals and objectives. Kevin has previous Big Four, public and private company experience, and most recently, prior to their merger with ASL, Kevin worked at Boitano, Sargent & Lilly, LLP. Kevin holds a Bachelor of Science degree in Commerce, with a major in Accounting, from Santa Clara University. In his free time, Kevin enjoys mountain biking, hiking and spending time with his wife. Stock Ownership Plans (ESOPs), estate/gift, fundraising, mergers/acquisitions, and more. Cloud, AI, Big Data, etc. ), bio-tech, agriculture, pharma, retail, manufacturing and many more. Clients range from long-established companies and highly entrepreneurial ventures to families and individuals. He has also has lectured around the world on business valuation theory and was one of the instructors for the Venture Capital Academy. He has qualified as an Expert Witness in Valuation in most of the counties in the Bay Area. Jeff holds a Bachelor of Arts degree, Economics, from the University of California Los Angeles. Outside the office, Jeff is a musician and plays the bass, enjoys fly fishing, hiking and the outdoors. Steve Gabbard, CPA, is a Tax Manager, with experience in managing and reviewing business tax compliance obligations including corporations, s corporations, partnerships and LLCs; in addition to managing tax compliance and tax planning engagements for high-net-worth individuals. Steve received his Bachelor of Science degree, Managerial Economics, from the University of California, Davis. 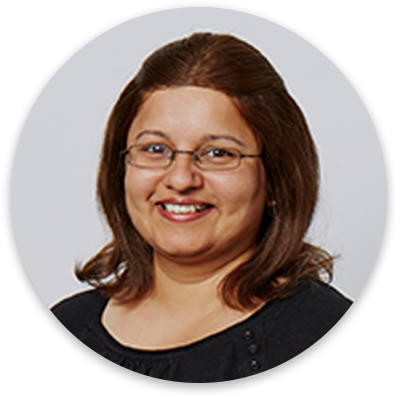 Anu Joshi, CPA, is a Tax Manager and a member of the Family Wealth & Individual Tax Planning Group at ASL. She has over 12 years of public accounting experience and provides tax compliance and tax planning services for a wide variety of clients. Strong attention to detail coupled with technical knowledge and the skill to identify and resolve tax issues help Anu with her practice focus, which includes high-net-worth individuals, business entities, estates and trusts. Prior to joining ASL, Anu worked in a variety of industries including manufacturing, financial services, and public accounting in India where she provided extensive tax, accounting, and assurance services. Anu holds a Master of Science in Taxation from San Jose State University. Additionally, she has a Bachelor of Commerce in Accounting from the University of Mumbai, India, and was formerly a Chartered Accountant from the Institute of Chartered Accountants of India. 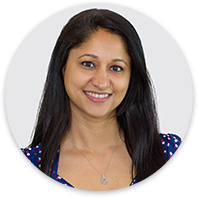 In her free time, Anu enjoys spending time with her children, hiking the beautiful Bay Area trails, and origami. Anthie Karvounis, CPA, is a Tax Manager and has over 19 years of experience in tax preparation, accounting services, payroll services, budgeting and small business administration. Her honesty, integrity and professionalism are qualities that clients appreciate. Anthie has a passion to serve other people and to increase her professional credentials. Anthie’s college education started at Deree, the American College in Greece, she then transferred to San Jose State University, where she obtained her Bachelor’s Degree in Accounting. She is currently pursuing a Master’s Degree in Taxation and will continue to expand her technical skills in order to better serve her clients and the needs of ASL. Anthie is also fluent in Greek. Prior to their merger with ASL, Anthie worked at Boitano, Sargent & Lilly, LLP. In her spare time, Anthie enjoys traveling to Greece, reading, working out and any outdoor activity with her family. Anthie has also been heavily involved in volunteer activities in the local community. Christy Kempski, CPA, is the Accounting Manager at ASL. 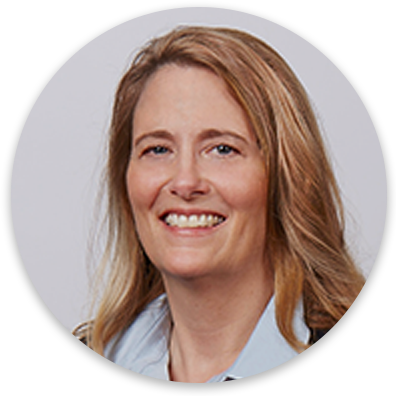 She has over 20 years of audit and accounting experience, and has held various financial positions in the technology industry as well as positions in public accounting firms. Christy has served a diverse group of clients including emerging businesses, software professional services, real estate, and construction. In the ASL Assurance & Accounting Group, Christy functioned as a staff and reviewer. Her duties included bookkeeping, Prepared Financial Statements, Compilations, audit preparation support for clients, accounting support for entity tax returns, and compliance filings such as Payroll and Personal Property Tax. Christy is a member of ASL’s Emerging Business Group and has spoken at their seminars and presented a webinar dedicated to year-end accounting and compliance readiness. Her background also includes audit experience with the Big Four and other accounting firms focused on closely held business. Abraham Livchitz, CPA, is a Senior Tax Manager in the ASL Tax, Construction, and Emerging Business Groups. Abe has over 25 years of public accounting and tax service experience working with privately held companies and their owners. Abe has served clients operating in the agricultural, construction, medical, and technology sectors. Previously, he was a tax senior with SingerLewak, LLP, in San Jose. Abe has provided tax compliance and planning services for business entities and their owners. He has also assisted clients with the installation and use of QuickBooks accounting software. He is one of the tech blog writers for ASL. Abe received his Bachelor of Science degree, Business Administration (Accounting concentration), from San Jose State University and a Master’s degree, Business Administration, from Santa Clara University. While not thinking of tax saving ideas for his clients, Abe enjoys relaxing in his garden. 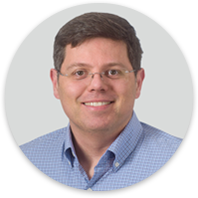 Chris Madrid, CPA, is a Tax Director in ASL’s Family Wealth & Individual Tax Planning Group. She has over 20 years of experience, which includes both public accounting and private industry. In addition to serving the needs of high-income/high-net worth individuals, by providing tax planning and income tax preparation, Chris has developed significant expertise in estate, gift and trust taxation. She is an expert in the preparation of estate tax returns, and enjoys working with executors and trustees in the area of trust and estate taxation, planning, and estate administration. Her time as the controller of a family owned business has given her insight into the needs of the owners and their closely held businesses, particularly as it applies to estate and gift planning. Prior to their merger with ASL, Chris worked as a manager at Boitano, Sargent & Lilly, LLP. Chris has a Bachelor of Science degree, Commerce (Accounting concentration), from Santa Clara University. Laura Mays is the Director of Employee Development. Working closely with the ASL’s Partners, Laura’s focus is driving and implementing employee development and engagement programs. 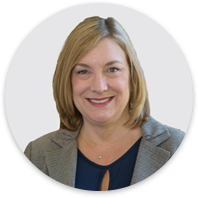 Laura has over 20 years of global management experience in Human Resources, Sales Operations, and Marketing. Throughout her career, Laura’s passion has been all about people and creating a culture that provides a positive work environment, a supportive management team and employee growth opportunities. Prior to joining ASL, Laura worked mainly in the high technology industry. Most recently at Silicon Image and Lattice Semiconductor as Director of Sales Operations. Laura earned her Bachelor of Science degree in Education at Eastern Illinois University. She is a member of the Society for Human Resources Management, Next Concept HR Association and the Association for Talent Development. In her spare time, Laura enjoys the occasional round of golf, hosting parties, scrapbooking and spending time with her family and friends. Colleen McInerney, CPA, is a Tax Manager who has over 14 years of experience providing tax compliance, planning and consulting services to high-net worth individuals, and working with closely held businesses and their owners in various industries such as manufacturing, real estate, professional services, and investment partnerships. She is also knowledgeable in estate and trusts. Prior to joining ASL, Colleen worked for local CPA firms in San Francisco and on the Peninsula. Colleen holds a Bachelor of Science degree, Business Administration (Economics/Finance concentration) from Notre Dame de Namur University (formerly College of Notre Dame) in Belmont, California. Angel Nevis, CPA, is a Senior Tax Manager in the Family Wealth & Individual Tax Planning Group at ASL. She has over 13 years of public accounting experience, focused in tax preparation and planning. Angel has extensive knowledge of estate, trust and gift taxation. She enjoys working with executors, trustees, and their attorneys to navigate complex tax scenarios and meet their compliance needs. She takes pride helping clients achieve their wealth transfer goals, and in presenting ideas clearly and concisely. Angel has also developed significant expertise in split-interest trusts and charitable giving. Angel began her career in the high-net-worth individuals group at a Big 4 accounting firm. Prior to joining ASL, she worked at a small accounting firm in Palo Alto. Angel holds a Bachelor of Science degree, with honors, in Economics (Finance and Accounting concentrations), from Cal Poly, San Luis Obispo and a Master’s degree in Taxation from San Jose State University. She was recognized as the Most Outstanding Graduating MST student in 2012. Outside the office, Angel loves to read, travel and spend time with her husband and daughter. 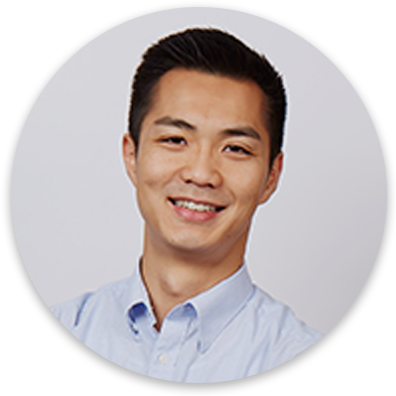 Patrick Ngai, CPA, is an Audit Manager with over ten years of public accounting and audit experience serving nonprofit organizations and privately held companies. 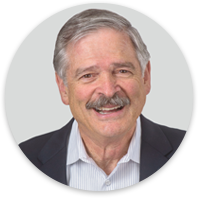 He has extensive expertise working with a wide variety of retirement plans and nonprofit clients including organizations specializing in community services and education. He also has assurance and advisory experience in various industries including manufacturing companies with international transactions, investor-backed private technology startups and renewable energy. Patrick has a Master of Science degree, Taxation, from Golden State University and a Bachelor of Science degree, Math & Applied Science (Management and Accounting concentration) from the University of California, Los Angeles. 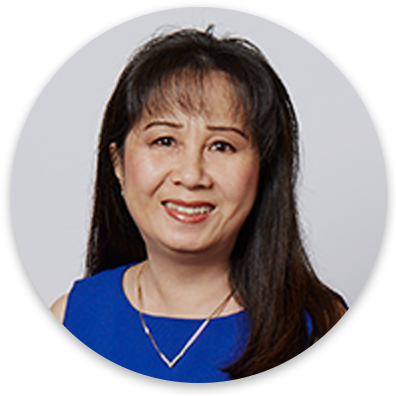 Jacqueline Phan, CPA, is a Tax Manager and is a member of the Family Wealth and Individual Tax Planning Group at ASL. She has over 15 years of experience, with extensive knowledge of estates and trusts, estate administration, closely held companies, and high-net-worth individuals. She provides compliance and planning to meet client wealth transfer goals and objectives. Jackie also provides tax compliance and planning to technology, manufacturing and service sector companies. Many of these companies have multi-state and international operations or subsidiaries. Prior to joining ASL, Jackie worked both in industry and in public accounting. Her prior years’ experience in industry gives her a unique insight into the client’s perspective. Jackie has a Bachelor of Science degree, Accounting, and a Master of Science, Taxation, from San Jose State University. health drinks, and doing jigsaw puzzles. assignments of privately held businesses for financial reporting, gift and estate, tax planning, ESOPs, business planning and corporate reorganizations. She brings to ASL a diverse industry background and strong experience in financial analysis and project execution. Over the course of her career, Ms. Plevako performed hundreds of equity and asset valuations for private and public equity positions of domestic and foreign companies. She has expertise in valuing stock of early stage technology start-ups as well as pre-IPO and acquisition-ready entities. Her specialty includes allocation of equity value to securities in complex capital structures and valuation of securities issued for employee compensation for 409A purposes. Ms. Plevako holds the Chartered Financial Analyst (CFA) and the Certified Valuation Analyst (CVA) designations. She earned her Master’s degree, International Affairs (Economics and Finance concentration), from Yale University and Bachelor’s degree, International Economics, from Vladivostok University of Economics in Russia. exploring Bay Area hiking trails. 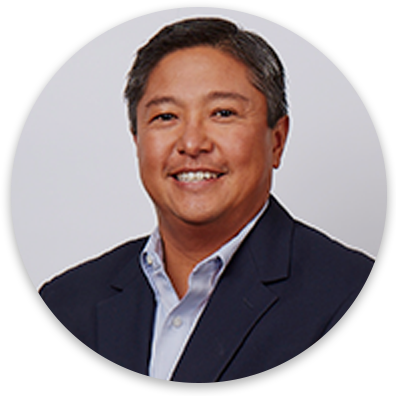 Jerry Quintos, CPA, is a Director and oversees the Accounting, Finance, Marketing and Business Development functions of the firm, and has been with ASL for about 12 years. He is a member of the ASL Technology, Construction, and Emerging Business Groups. He has public accounting experience in accounting, auditing, and consulting, and industry experience as a Controller. Prior to joining ASL, Jerry worked with a Big Four accounting firm and an electronics distribution and manufacturing company. Jerry earned his BSBA degree, Accounting and Finance (with honors) from the Haas School of Business at the University of California Berkeley. He has also taken graduate coursework at San Jose State University. In his spare time, Jerry enjoys playing golf, basketball, riding his motorcycle and spending time with family and friends. Samantha Ramirez, CPA, is a Tax Manager in ASL’s Family Wealth & Individual Tax Planning and Nonprofit Groups. Sam has over seven years of public accounting experience serving the tax compliance needs of nonprofits, high-net worth individuals, trusts, estates and real estate partnerships. With a commitment to client service, Sam prides herself on making clients’ needs her priority and finding ways to optimize their business goals, while navigating the complex tax laws. She has the ability to relay complicated tax jargon in an easily understood manner, which is appreciated by her clients. And due to Sam’s many years of experience with nonprofits, she enjoys acting as a resource for tax-exempt organizations, big and small. Sam holds a Master of Science Taxation from San Jose State University and a Bachelor of Arts degree, Business Economics (Accounting concentration) from the University of California, Santa Barbara. 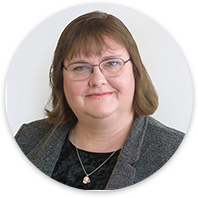 Karen Ritchie, CPA, MST, has been in the public accounting industry over 15 years and assists with the management of our tax department. 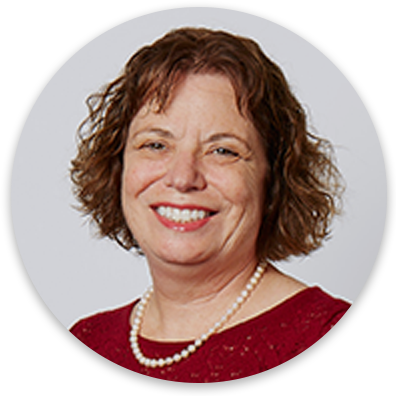 Karen’s focus is on serving our clients better by ensuring our team of tax professionals have the tools, training, and resources necessary to provide the highest quality service. She has developed in-house software, designed new processes, and updated firm procedures to promote efficiency and improve our employee’s work-life balance. She works closely with our vendors, administrative staff, and IT personnel. Her passion is to help ensure everyone at the firm has the best experience possible working at ASL. Karen holds a Master of Science, Taxation from San Jose State University. Additionally, she has a Bachelor of Science in Business Administration: Accounting from San Jose State University. Karen lives in Scotts Valley and spends her free time with her husband and daughter. On the weekends you can find them at the Farmer’s Market, Girl Scout events, renovating some portion of the house, or taking a family bike ride. Nick Sabbatini, CPA, is an Audit Manager in the ASL Audit & Accounting Group with over 7 years of experience, including banking experience. He works with a variety of privately-held and nonprofit entities in the Bay Area, encompassing start-up technologies, established international businesses, local educational institutions, and organizations providing financial and humanitarian services to domestic and foreign individuals. This experience has provided Nick with an expertise in some unique accounting areas involving internally developed technologies and application solutions, as well as revenue recognition for transactions that involve multiple performance obligations. 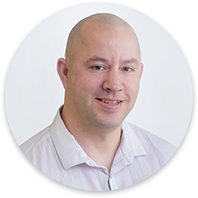 In addition to annual assurance services, and as someone who truly believes in client service, Nick provides recommendations and acts as an advisor on accounting policies and internal controls, new accounting issues and their potential impact to operations. Prior to joining ASL, Nick worked with a Big Four accounting firm in the Bay Area. Nick holds a Bachelor of Science degree, Business Administration (Accounting), from San Jose State University, where he graduated with honors. Khin Khin Slone, EA, is a Tax Manager and a member of the International and Technology Groups at ASL. She has over 15 years of experience, which includes both public accounting and private industry. Her expertise ranges from multistate and international corporate income tax compliance to serving the tax planning and preparation needs of high-net-worth individuals. 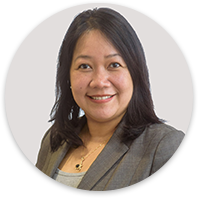 Khin Khin has experience serving clients in the following sectors: emerging business, high-tech and service (i.e. restaurants and retail). In addition, she manages quarterly and annual income tax provision process for small to mid-size companies. Khin has a Bachelor of Science degree in Economics, with a minor in Accounting, from the University of California, Los Angeles. Outside the office, Khin Khin enjoys traveling, sharing a good meal with family and friends, and participating in her son’s scouting activities. Becky Watson, CPA, is one of Abbott, Stringham & Lynch’s most versatile employees, with over twenty years of expertise serving privately held companies and organizations including high-tech, construction, manufacturing, and non-profit organizations. She has twelve years of experience in accounting and has been a licensed CPA for seven years. 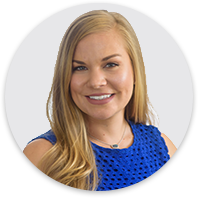 As an audit manager, Becky fulfills assignments on audits, reviews, and other attestations of client financial statements. Becky also provides assistance with various software applications including accounting systems and internal engagement workflow systems. As a member of the Construction Group, Becky is dedicated to achieving expertise in construction industry accounting systems. Becky has the honor of being a certified Construction Industry Technician and is a member of the local NAWIC Chapter #99 Santa Clara. Her diverse educational background gives her a unique perspective into the interactions between accounting and computer systems. Becky has completed accounting courses at San José City College and Evergreen Valley College and has earned her Bachelor of Science degree in Computer Science from Utah Valley University. Outside the office, Becky is an accomplished pianist, is making progress on the pedals of the organ, and enjoys laughing and singing with her husband.